When we look at our lives we can see how HIS timing worked out to be the best in our lives. It took 2 years to sell our house in Vegas. Didn’t know why but when we look back it was to have Nicole and be fully covered with insurance. In Genesis 22 it talks about the story of Abraham and Isaac. You talk about GOD being right on time. GOD promised Abraham he would be the father of many nations but HE still wanted him to take his son and lay him on the altar him. Abraham even had to raise the knife. Then GOD stopped it. HE wanted to see how obedient Abraham would be to HIM. And GOD supplied a ram in the bush for sacrifice. In the Book of John Chapter 11 it talks about Lazarus, the brother of Mary and Martha. He was sick and the sisters called for JESUS to come and heal him. JESUS waited a couple days before going there. I believe JESUS wanted them to wait on HIS timing. When JESUS gets there, Lazarus has been dead 4 days. They said he gonna stink. They were all crying because he was dead. Even JESUS wept but HE wanted to raise him from the dead to show the power HE has. No matter what your storm is, JESUS is able to deliver you and set your feet on a rock to stay. Don’t give up waiting on JESUS. We need to have those private prayer meetings with JESUS when no one is watching, private fasting, private meditations that go on in our lives. We need to make that time with JESUS to get to know HIM better. Great spiritual strength comes from private moments with GOD. When Peter began to sink, JESUS was right there. How far was Peter from JESUS? Was he fifty yards, a hundred yards, two hundred yards? It really doesn’t matter the distance, GOD is not bound with space and time. HE can reach down to our lowest point and pull us to our feet. 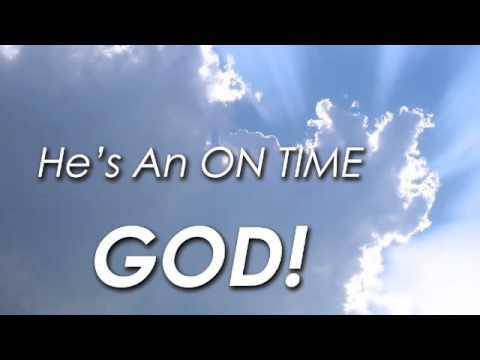 HE is an on time GOD. HE IS HERE for you right now. It’s when you get closer to JESUS that the enemy hates. He will do anything to keep you away from JESUS. Having a strong relationship with JESUS is well worth it. Because we win. The enemy is defeated. Let him stay there. Greater is HE that is in you than he who is in the world. Don’t let Satan Lie to You!